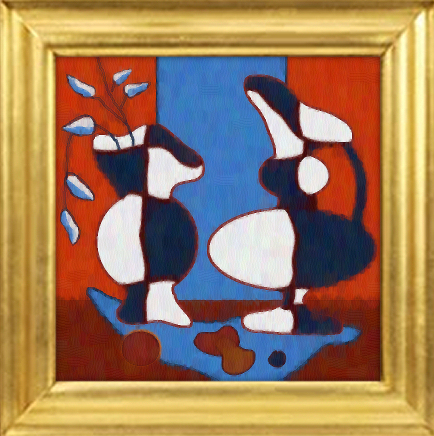 This is my homage version of the Otterson painting as seen on the wall beyond the dining room to the right of the piano on the way to Daphne's room on the Frasier set. The original 1939 painting appears to have been on loan during Season 1, episodes 1-4 only. Keith Kaminski painted the set copies that I much prefer. 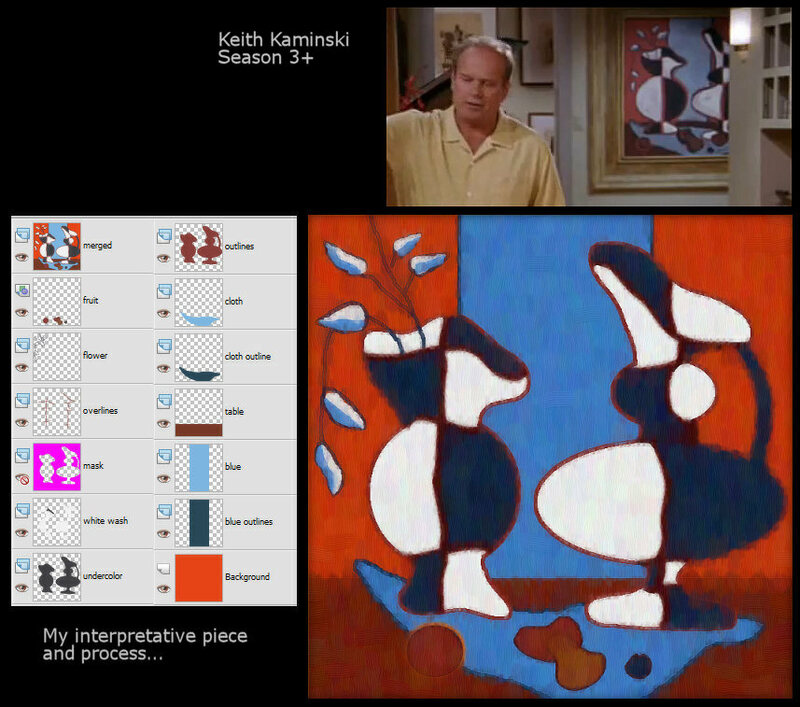 From Season 1 episode 5 through the end of Season 2 appears to be an interim piece, while my homage is based on the set copy in use from Season 3 onwards. My homage is not an exact copy by any means and isn't meant to be. It's my interpretation of a piece I very much like. John Mahoney who plays Martin Crane, Frasier's Dad is quoted as saying that Eddie the dog is a tremendous scene stealer, but I think it's this painting that steals every scene it's in! It's very well lit, which never hurts, but any time it's in frame, my eyes are drawn right to it. It's not super hard to paint. I spent about an hour on this and it was really fun, so I encourage anyone interested in this painting to have a go at painting your own version of it to enjoy or give to your favorite Frasier fan as a gift. If you're like me, you'll get a lot of pleasure out of it. Click the painting to see the Kaminski copy on set as well as my digital interpretation and process steps. Click here to see my painting inside the Sims 3 game.